You can use an image without text by checking the “Disable Text” option. If you want to create image-only links (icons but no text), follow the Adding Images instructions, then just check the Disable Text option on that menu item. Note that you still need to set a Navigation Label, even though it won’t be displayed. 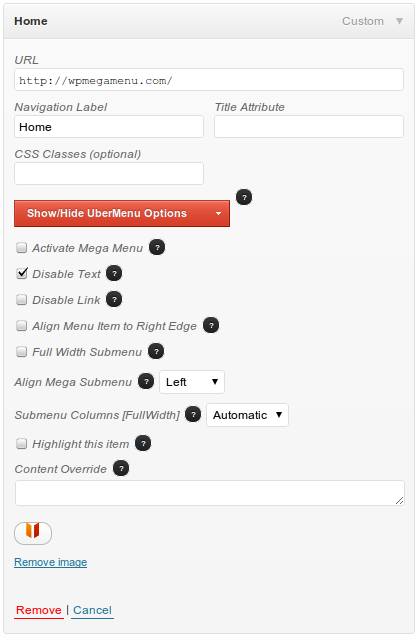 If you try to save the item with a blank Navigation Label, the item will be removed by the WordPress menu system.